"Craft" is having a moment in spirits circles, and while it's a term that can sometimes be bandied about a little too liberally, that surely doesn't apply to The Balvenie. From their "by hand" attitude to David Stewart's extensive involvement in the development of the whisky, The Balvenie are a distillery who do things a little different, a little old school, and are all the better for it. · Kris and Kim Torma (bar maker and stone craftspeople), their unique range began with a semi-precious metal coating process that was a world-first and is now widely acknowledged as a benchmark for high end surface technology. Their company, Axolotl, handcrafted the Balvenie bar from a design studio facet studios. The design was inspired by The Balvenie 50 year old wooden box. 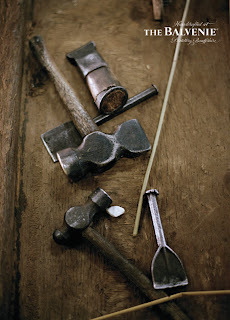 · Cinnamon Lee (metal smith) is an Australian artist and metalsmith who makes precious objects, jewellery and lighting. Her practice spans over 15 years during which time she has had numerous works acquired by public collections. According to The Balvenie archives, ‘Dipping Dogs’ were flasks used by distillery workers in the early 1900s to pilfer drams of whisky. Inspired by this tale, The Balvenie Dog is a wearable whisky flask. · Tim Kill (luthier) works in Ben Puglisi’s Melbourne workshop, restoring building and repairing classical stringed instruments. For over 18 years he has procured a vast array of skills in his craft. Tim will have a selection of his hand-crafted guitars at the venue which will be played by some local musicians. · Ruth Allen (glass blower) is a Melbourne multi media artist primarily working with glass, light, kinetics and the poetics of experiences. Ruth is creating a chandelier from Balvenie bottles for the event along with some bespoke whisky decanter and glass sets. · Nick Haddow (cheese maker) works at the Bruny Island Cheese Company, widely regarded as one of the best cheese makers in Australia. It sets the standard for many aspiring and new cheese makers. Nick has selected a range of his handcrafted cheese which he has matched to the different Balvenie whiskies that will be available in the bar. · Brad Nicholls (designer) founded ‘Nicholls Design’ in 2004 having been inspired by many years travelling around Australia and South-east Asia. Brad creates beautiful objects for the home using traditional joinery techniques with timeless design. Brad crafted a stool called “Tom” for The Balvenie bar. The stool was inspired by his grandfather-in-law and is crafted from scrap / recycled hardwood where only glue and joinery techniques are used. A bar inspired by The Balvenie 50, flasks inspired by Balvenie's history and a Balvenie chandelier? Sounds like a impressive bar to us! The Balvenie Craft Bar will be open for the public from 4.30pm-7.30pm each night (11-14th November) at Zenith Interiors, 179 Flinders Lane, Melbourne, VIC. On the Thursday it will be open until 10pm. 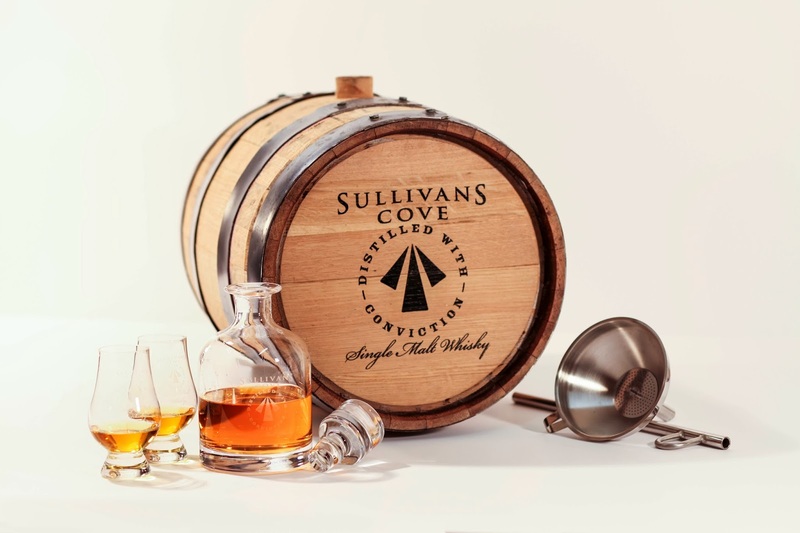 In an innovative move for Tasmania Distillery (producers of Sullivans Cove whisky), you can now mature your own Australian single malt, thanks to their new "Sullivans Cove Cellarmaster" kit. Whilst other Australian distilleries offer programs to invest in their whisky, and own a barrel which is kept in their bondstore (as we wrote about here), Tasmania Distillery's offering is unique in that you receive the new make spirit, barrel and all equipment required to age it yourself. Coming with 20L of new-make Sullivans Cove (at 63.4% ABV), the instructions are simply to store the barrel in a cool place out of direct sunlight, and in approximately 2 years you'll have yourself 20L (minus the angels' share) of fine Australian single malt. The unique Cellarmaster barrels are crafted by Tasmania's cooper, Adam Bone and prospective Cellarmasters have the choice of ex-port, ex-sherry or ex-bourbon casks, or a bespoke combination of this wood for a more complex flavour. The barley for your single malt comes from a Tasmanian farm and is malted and brewed at Cascade Brewery, Australia's oldest brewery. The wash is then transferred to Tasmania Distillery, the home of Sullivans Cove Single Malt Whisky, where it is distilled twice in the distillery's copper pot still. At $3,750AUD (inc GST and delivery) the kit may seem expensive (and sure, that's a lot of money to spend on whisky), but when you consider a bottle of Sullivans Cove sells for $110-$165, the kit (including the barrel and glassware) doesn't seem too over the top...if you think you'll get through 20L of whisky, that is. During a recent visit to Diageo Sydney, we spoke a lot about the Bulleit pre-batching program, recently run by Diageo throughout some of Australia's best bars. 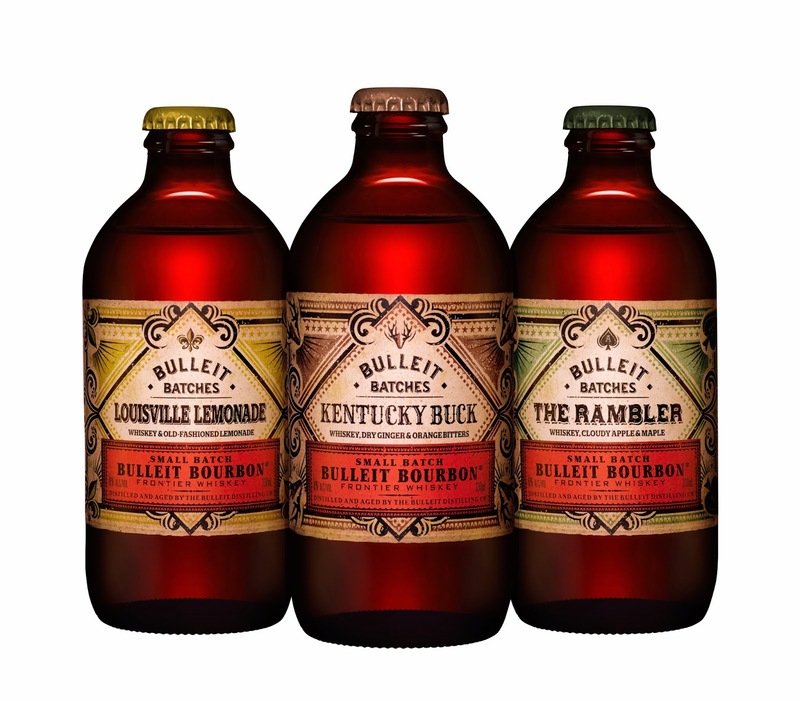 In short, the program (run as a competition) saw almost 100 bars receive special bottling equipment, and design a special Bulleit cocktail to be served in the pre-batched bottles. 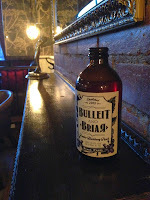 Apart from being a huge trend in New York cocktail circles (where all good cocktail trends seem to start), we think it's a funky, different way to serve cocktails, and no doubt helps launch the "Bulleit Batches" series which are now available from bottle shops (think of them as well-thought out RTDs with quality and unusual ingredients - more "cocktail in a bottle", less "Stoli Lemon Ruski". Melbourne's Black Pearl won the winning cocktail, with Fred Siggins' "Bulleit Briar", consisting of Bulleit Bourbon, Blackberry Shrub, Citrus Oils and Vanilla. LOUISVILLE LEMONADE – Bulleit small batch whiskey, old-fashioned lemonade finished with soda. I tried "The Rambler" recently and it was certainly unique - not your average sickly-sweet RTD at all.